Inspired by picturesque Engadin, the Ultimate V Tour SO Hooded Jacket Men is made from a lightweight 3-layer Gore® Windstopper® material to protect you from cold winds. Adverse weather, from rain to fog and more, has no chance against the water-repellent DWR treatment on the outer material. A water-repellent and breathable membrane is located between the inner and outer materials, actively preventing both heat build-up and chilling. 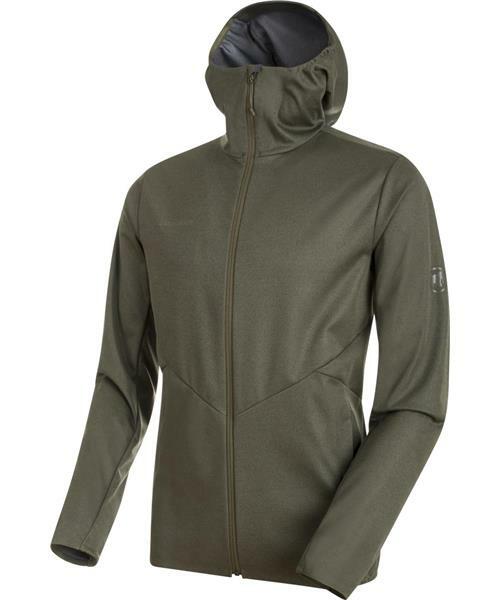 Thanks to its flexibility and weatherproofing, this Ultimate V Tour SO Hooded Jacket Men will bring you effective performance combined with enhanced comfort.